The specialist LLM in Dispute Resolution offers an in depth understanding of dispute resolution practice and theory in both civil and criminal matters. The course appeals to existing legal practitioners as well as those who wish to work in the field of civil and criminal litigation, arbitration, international litigation and dispute resolution, legal services and tribunals. As it is domestic and internationally focused, it should be of interest to students from the UK, Europe and around the world. The Specialist Master of Laws (LLM) in Dispute Resolution is a unique course which provides students with a strong understanding of dispute resolution practice and theory in both civil and criminal matters. It concentrates on issues relating to dispute resolution in criminal or civil justice, including conventional litigation as well as alternative dispute resolution practices such as arbitration and mediation. This course gives you an opportunity to explore the area of criminal and civil justice from a domestic, international and European law context. 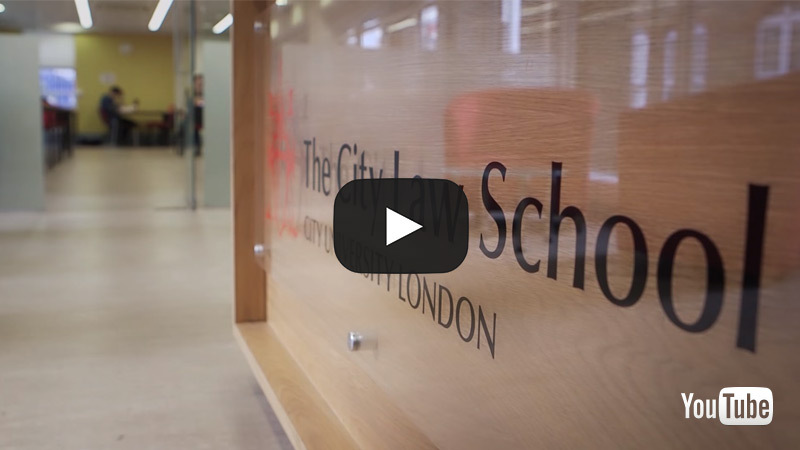 Find out from one our students what it's like to study one of our LLM programmes. As with all Master of Laws (LLM) specialisms at City, University of London, you may take either 5 modules and a shorter dissertation (10,000 words) or 4 modules and a longer dissertation (20,000 words). All modules are of the same duration and are taught per term (September – December or January – April) rather than the whole academic year. If you take 4 modules you will take 2 per term in each term and if you take 5 modules you will have 3 in one term and 2 in the other. Dissertations are written during the summer term when there are no classes. It is an important objective of this course to assist individual students who wish to build effective careers in managing and conducting civil cases, whether through litigation, arbitration, negotiation or mediation. With so much competition for those seeking to enter and develop a career in the legal profession, this Master of Laws (LLM) is designed to provide a depth of understanding and a range of skills that can make a real difference in building your career. The course will include guidance on national and international options for training as a mediator or arbitrator.